These water preserving cacti, come from a desert landscape in a variety of shapes and sizes. Graphically beautiful, and full of interesting details; who would have guessed those spines are a way to defend a cactus from herbivores and to prevent evaporation of water. 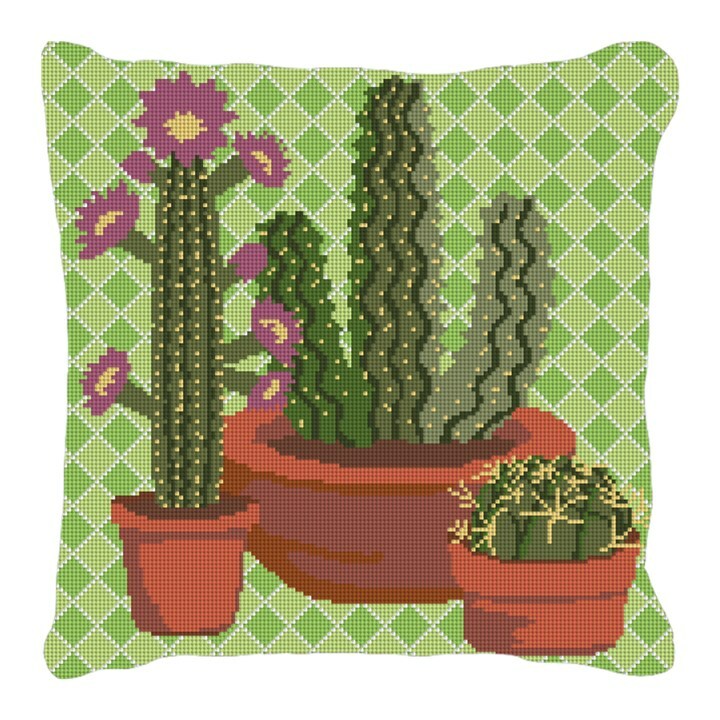 This cactus pillow will definitely bring a splash of color and interest to your living space.